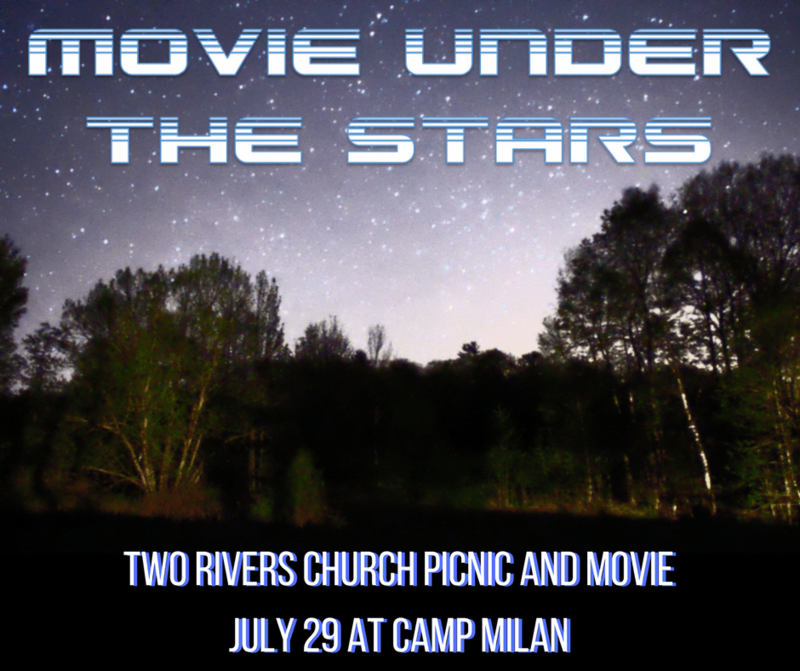 Saturday, July 29, Two Rivers Church will host a picnic and movie night under the stars at the Camp Milan Retreat Center. This is an all-church picnic. Everyone is invited to come and bring a friend. Hamburgers, hot dogs, and drinks will be provided. People are invited to bring a side dish to share. The meal will be served at 6 p.m.
After dinner, all are invited to stick around and see what the STEAM Camp kids were up to all week. The work of the STEAM Camp will take place for kids Pre K through 6th grade during the early part of the week. All the kids in the STEAM Camp and their families will be invited to come to the picnic and show off the work they had done during the week. There will also be outdoor games for everyone to enjoy. At dusk, a movie screen and projector will be set up for our first “Movie Under the Stars.” The movie will be a Disney-Pixar classic that fits the STEAM Camp theme of robotics and science. People should bring lawn chairs and blankets to set up in the lawn as the movie screen will be set up on the edge of the covered pavilion.